Over the Christmas period (which feels like it might as well have been last Christmas now), we all like to have a think about what new projects we want to tackle in the new year. Myself and top audio mastering pal Joe Caithness decided to get together and record a few videos to try and help musicians and people learning about digital audio. We’ve often chatted about the issues we face when getting audio from clients for further recording, mixing or mastering and some of the common problems they encounter. The thing is, digital audio is a complicated science at times and it’s easy to get bogged down in confusing terminology and the wealth of misinformation which is still passed around the internet by other audio people who should know better. So here’s the first of those videos we made, taking the form of a casual, unscripted discussion about those issues and hopefully, demystifying some things and providing some simple tips aimed at people who would rather get on with making music than worrying about all the stuff you’re paying an engineer to deal with. Hit us up in the comments if you have any questions or think we missed something. So, a while back we decided not to put a “Gear List” on our site. The main reason for this is that studio equipment gets bought and sold, falls into disrepair and is generally a fairly fluid thing. Also, we don’t think people should choose a studio based on gear when you can listen to the records that have been made there and talk to the engineers about what you want to achieve from a session. I remember when we first got this unit in to try out - we did a comparison between this and the UAD plugin version. The difference was big enough for us to know we had to go for it. Testing it out on the drum buss brought the low end of the kick to life and didn’t take anything from the high end like some compressors will do. It’ll often sit as an insert on our stereo bus from the start of a mix and allow us to dig into it slightly. When people talk about “Glue” in the context of a mix, I think a better way to put it is this. Different elements of a song will trigger a compressor in different ways, but the compressor will still react and effect the entire mix. So when your kick drum hits a little harder, the whole mix reacts. It places those instruments into the same sonic “world” as each other. You need to use this stuff sparingly most of the time, but the results you get can make a huge difference. On the other hand, you can also have a lot of fun sending the drums to the Neve, pushing the compression and limiter sections to the extreme and blending it back in with the dry signal. This unit can be as dramatic or as subtle as the song requires. Ours is a 1970’s, solid state edition of the Watkins Copicat - a lovely tape delay unit that can produce a range of delay effects from early rock-n-roll style slapback through to longer, rhythmic echoes. This solid state version has arguably better headroom for processing things like vocals, which we did recently on the recordings we did with garage/surf rock lovelies, Pet Crow. Our unit has also been modified with a “wet out”, which means we can send a signal into it and just get the delayed signal coming back out, rather than having the original signal mixed in with it. This works great in a studio environment where we will often add an effect like this after the instrument/vocal has been recorded. We also have a few different tape loops we can use, some of which have been well used and will give a different sound quality to a fresh loop. Basically, it’s a great unit to evoke something a little more interesting and tactile than a traditional delay pedal or a plugin might produce. Great gear should always inspire you and your collaborators to better sounds, better performances and more fun. This does that in spades. We’ll do a bit more writing on some more gear soon. If there’s anything in particular you’d like to know about, please let us know in the comments. 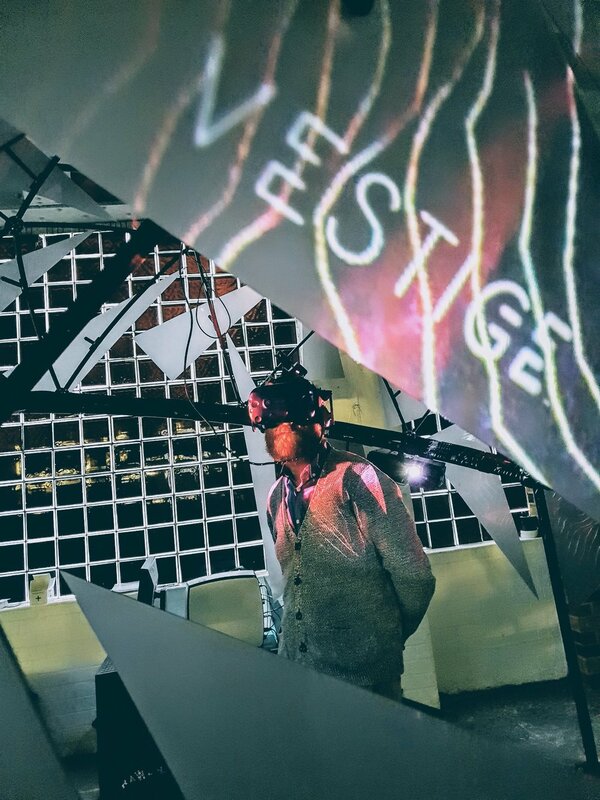 Vestige is a room scale virtual reality experience directed by Aaron Bradbury and produced by the team at NSC Creative. The experience presents subtle differences with each viewing. Alternate paths through Lisa's memories are navigated by the viewer's gaze and position within the apartment. The score seamlessly moves between evolving soundscape and more linear pieces of music. I led on sound design for the project which involved liaising with the film's composer, Starkey on the assets for the score and how they would be assembled to form a seamless path throughout this branching experience. I also created the sounds of Lisa's memories of her time with Erik as they manifest around their apartment. Working closely with Duane our main developer, using Google's Resonance spatial audio system in FMOD and Unity, we were able to map sound onto the characters and their movements in a realistic 3D space and render it in binaural stereo. The project premiered at Tribeca Film Festival in New York but more recently (and closer to home) we saw its European debut at Sheffield Doc/Fest. 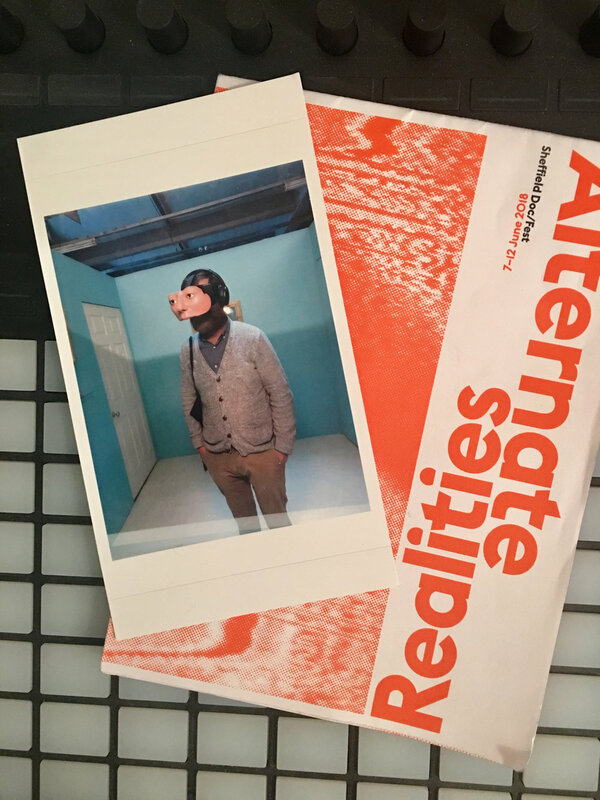 Installed in Trafalgar Warehouse, within the Alternate Realities section of the festival, I went down to see how people experienced Vestige and to find out what else is happening in the immersive spaces outside of traditional media. On Friday, in a big dome outside The Crucible Theatre, I got to sit it on our Meet The Maker session with Vestige director Aaron and producer Paul Mowbray. Also on the panel was Kalina Bertin and Sandra Rodriguez from EyeSteelFilm, discussing their project "Manic VR" - a companion piece to Kalina's documentary exploring her sibling's experiences with bipolar disorder. It was really interesting to compare the two projects, both exploring deeply personal struggles as told by their subjects. Sadly, I didn't get the chance to experience Manic VR due to it being solidly booked up (as were most of the installations over my visit), but according to those I spoke to that did, it's popularity is unsurprising. A story that I did get to experience, however, was 'Face To Face'. An installation and 360 documentary about Michelle, who wears a prosthetic face mask after a tragic, accidental gun injury. A shotgun blast took away Michelle’s eyes, nose, and upper palate, leaving her permanently blind and unable to smell. The visitor makes their way through three spaces, each revealing more of Michelle's story through recreated family spaces, 360 documentary footage, and interviews. It's an incredibly powerful piece of work that made me feel a sense of awe at the resilience that Michelle shows but also forced me to challenge my feelings of apprehension and discomfort when confronted with this life-changing injury and damage within the vulnerable isolation that VR creates. Face To Face won the Virtual Reality Award at the close of the festival on Tuesday with our very own Vestige coming in second place and receiving an honorary mention from the Jury! A huge pat on the back is due to all the Doc/Fest staff and volunteers for running such a great festival and giving all of us creators a chance to meet, discuss, explore and be entertained. Here's hoping I can make it back next year!